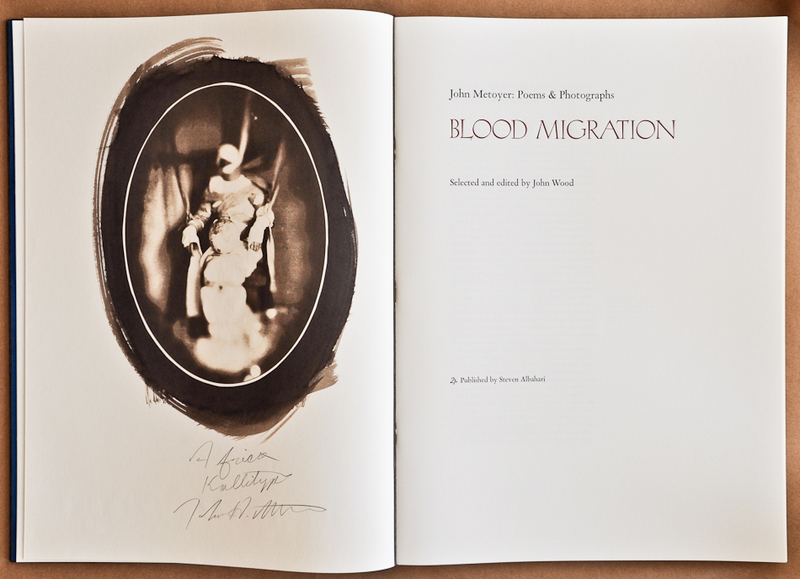 Blood Migration poems and photographic prints by John Metoyer. 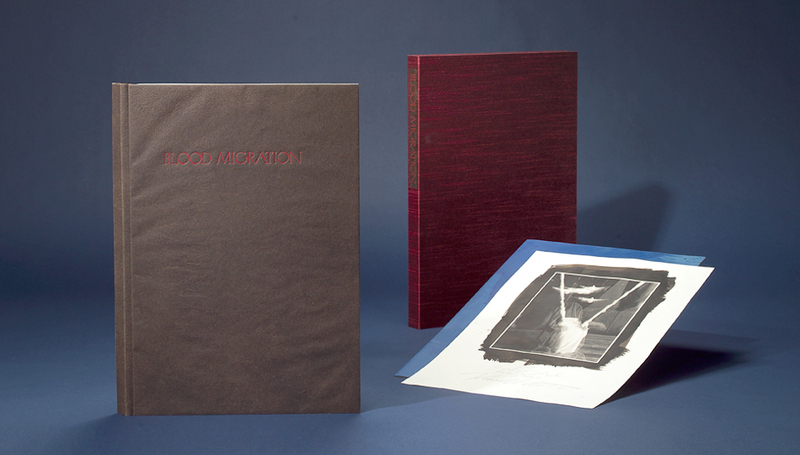 Edition of twenty six copies numbered 1-26 and twelve deluxe copies numbered I-XII. 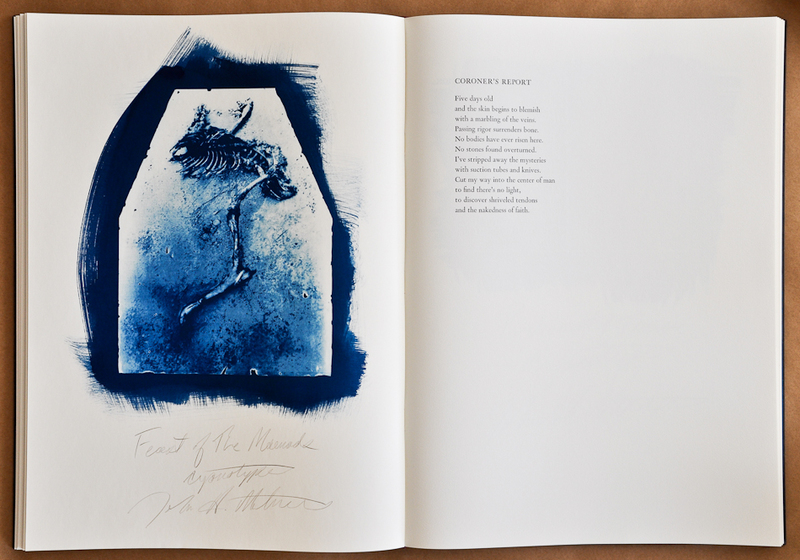 40 x 56 cm / 15.75 x 22 inches, 88 pages with 18 original signed images. 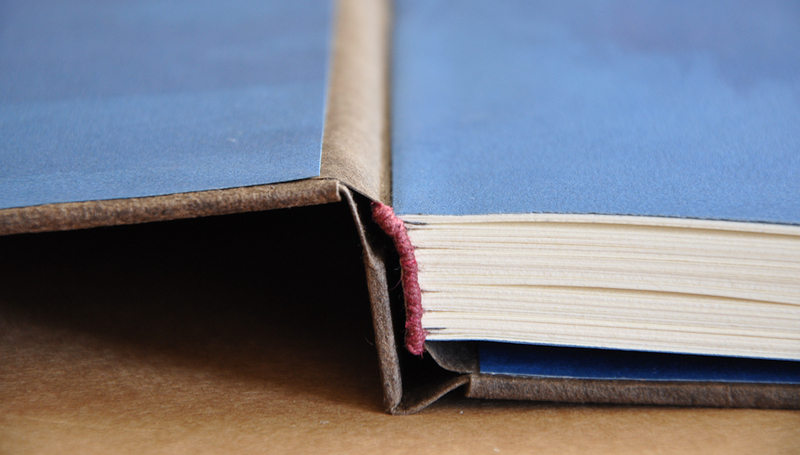 Binding with integral endbands sewn with dyed linen thread. 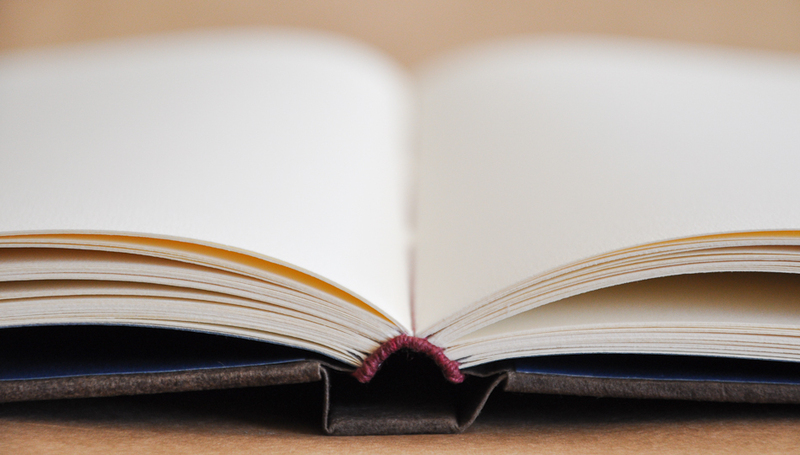 Case constructed with Cave handmade flax paper drummed over boards. Hot foil stamping. 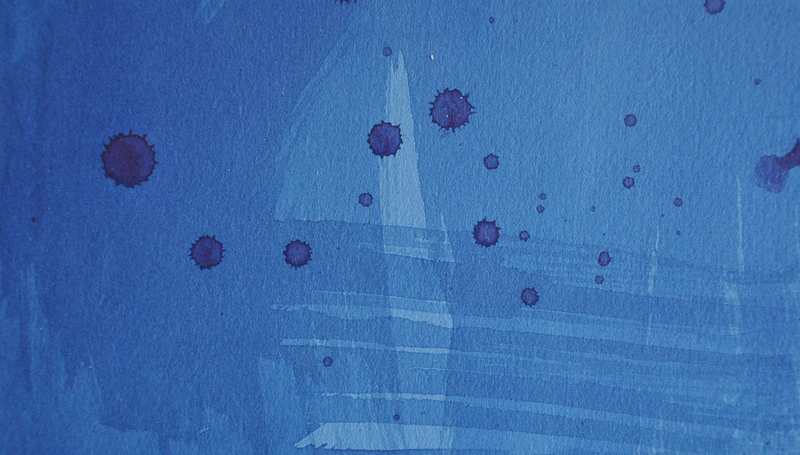 Endsheets individually dyed and spattered by binder. 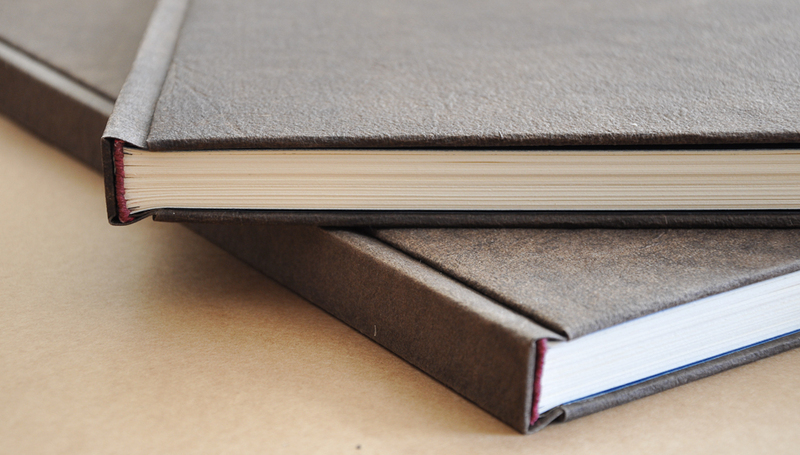 For more information, please visit 21st Editions.